After we were done with our SOLAR SYSTEM PROJECT with the Thermocol Balls, children were really excited to play with it ;matching it with their respective picture cards, talking about them , discussing different facts which we are sharing in the class and many more . This child was trying to find out the right planet which can be matched with the planet ball she was holding. 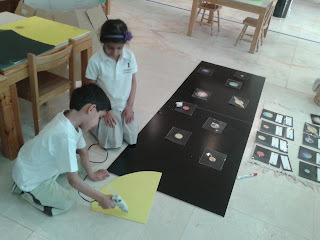 For our final day celebration, we started preparing a large Picture Board of the SOLAR SYSTEM for our Circle Time area. 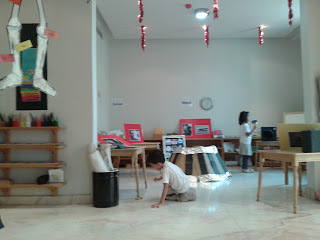 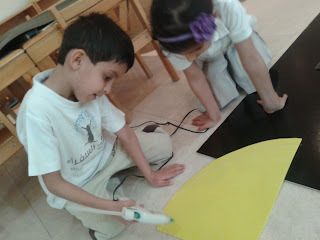 Kids took their active roles of gluing the Sun which we cut from a Yellow sheet. It doesn't matter if some children participates actually in every step , some children learn some different skills while watching their friends doing the sctivity. 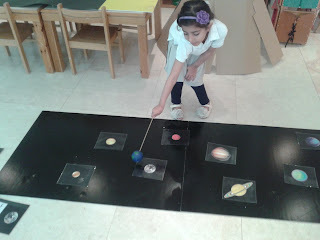 And once we were done with the SOLAR SYSTEM BOARD , we discussed about the facts and figures in much detail through pictures, books and stories.Their intelligent questions just surprised me , a very acttive child of my class announced, "And you know Miss Erum, we can even go to the Space and have a direct look at the planets which are in the sky, please , can we make our own SPACESHIP ?" "yes why not",I replied. 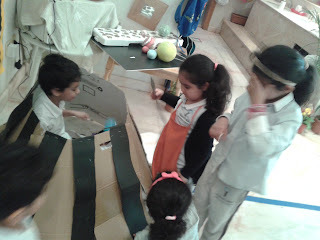 And then the very next day, we have started preparing our SPACESHIP with the Cardbard Boxes . 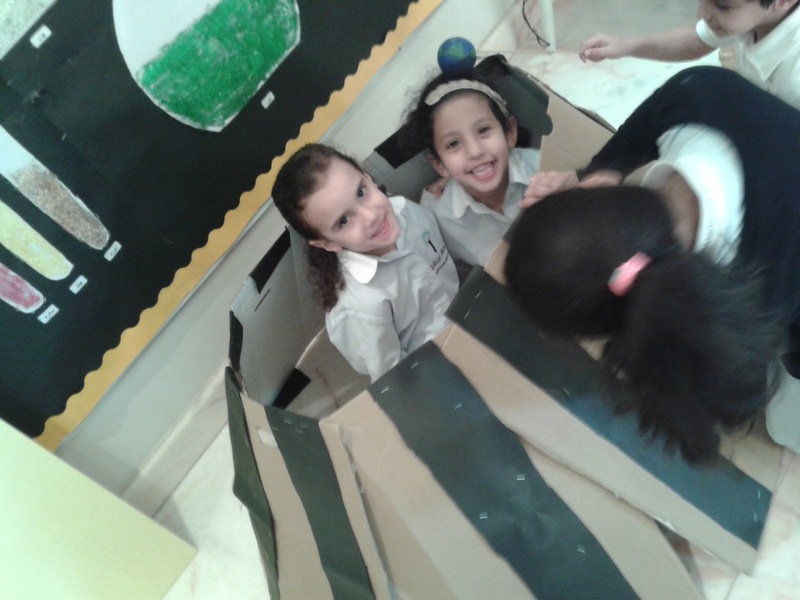 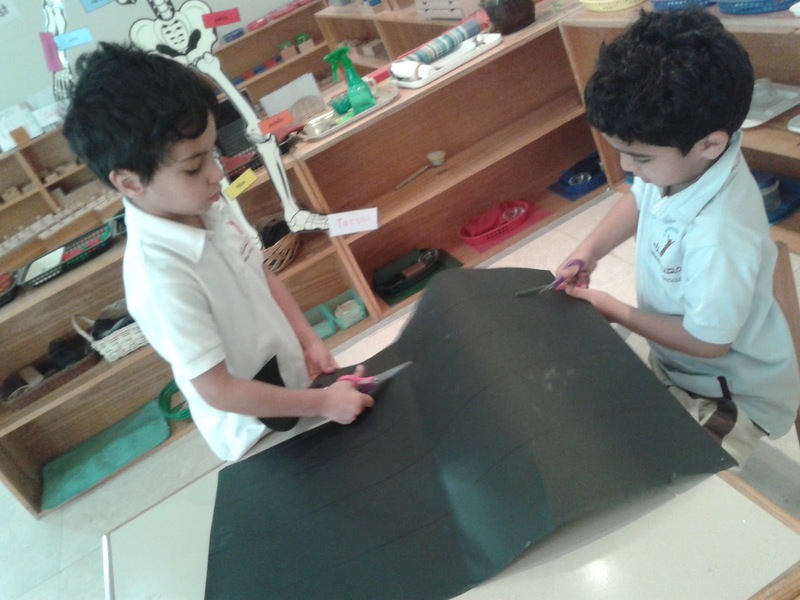 Once the the initial structure was ready , children started their most favourite activity of cutting the strips of black sheets to add some designs on our Spaceship. 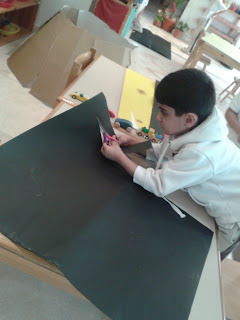 Everyone wanted to cut , so I provided enough sheets and then they cut dozens of it . 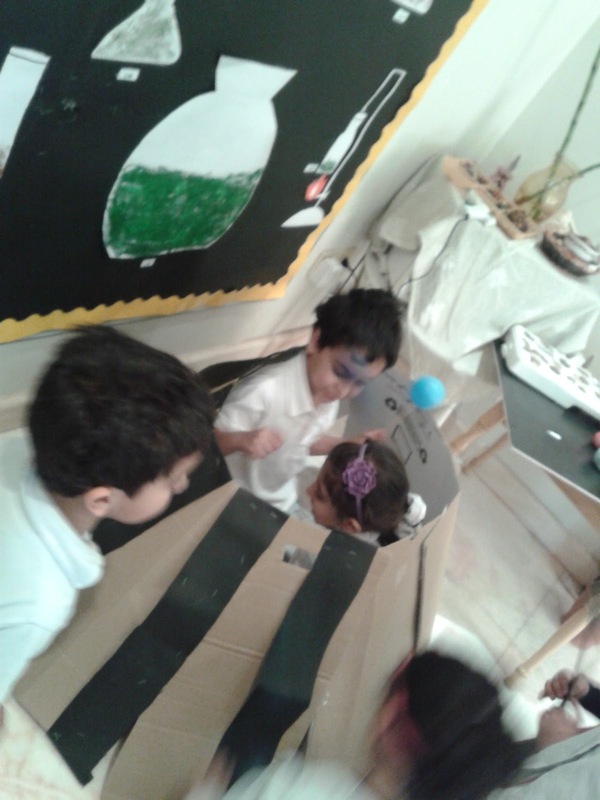 Now its the time to paste the Black strips on the Spaceship, this process was itself a fun part as they all played with the Spaceship while pasting in their own way and style. 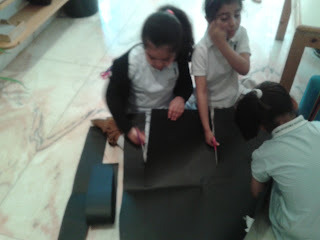 Its only we as adults who makes everything Serious and boring, for children simple cutting, pasting and binding are all fun and learning activity and they never mind how much they play with it. 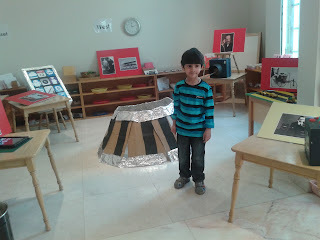 This was the final look of our Spaceship, with the Foil paper added to it's borders to give it a perfect look. Everything can be learned in a PLAYFULL environment , the point is to allow children the freedom to play and explore by themselves without much "interference". 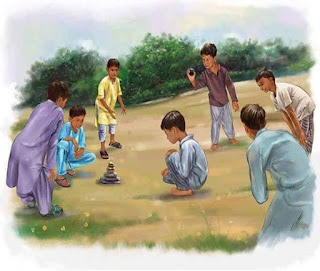 LETS SUPPORT FREE - PLAY.